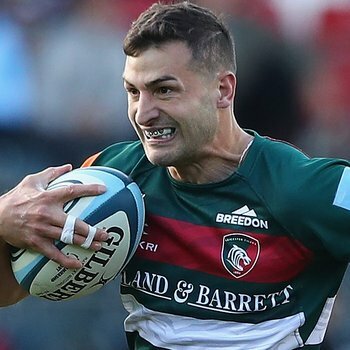 Leicester Tigers winger Jonny May was awarded the Man of the Match and Fans’ Man of the Match awards for his starring role in England’s 44-8 win over France at Twickenham in the second week of this season’s Six Nations. 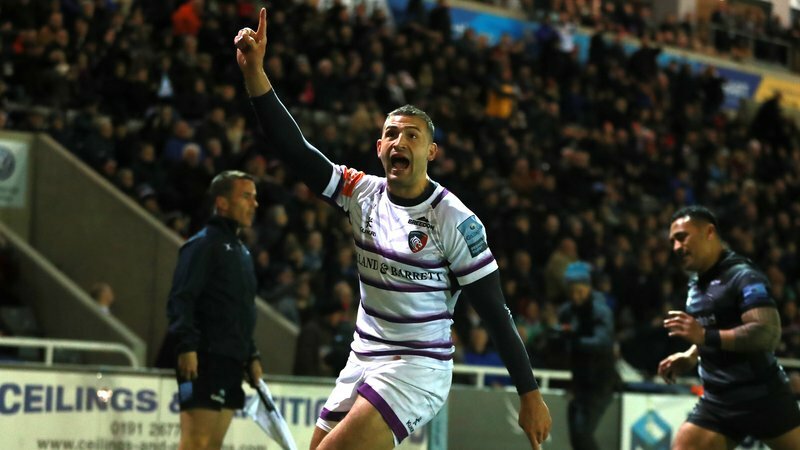 The rugby world can’t get enough of Jonny May. After becoming the first England player to score a hat-trick against France in 95 years, and doing so in less than half an hour, it’s no surprise. But, the Leicester Tiger insists he’s just doing what he’s expected to do. 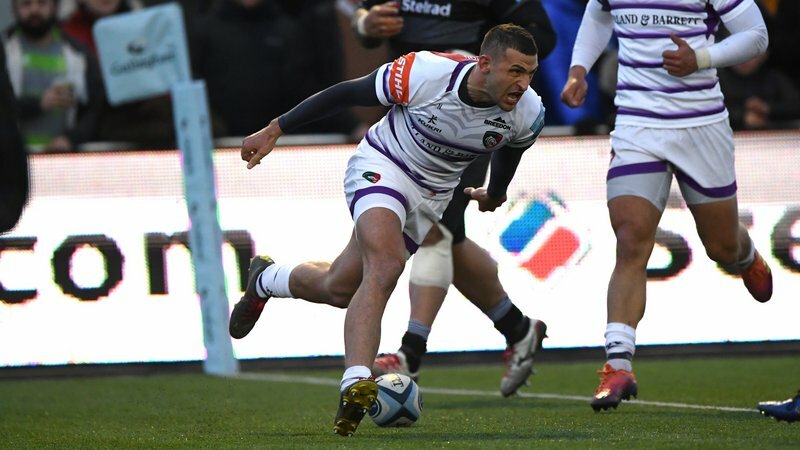 May’s – and the game’s – first try came inside the opening minute of action at Twickenham when out-gunned the French defence to chase down a well weighted grubber from team mate Elliot Daly. 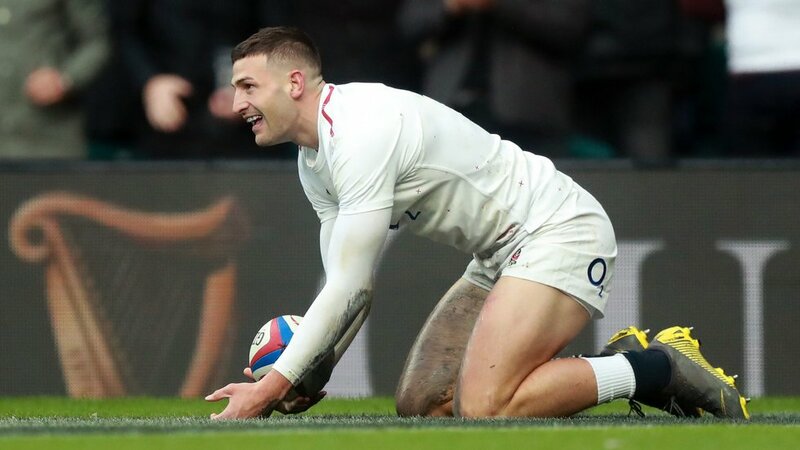 The early try was the eighth time in the last fourteen Test matches that England have scored within the opening four minutes of an international fixture, with May crossing for half (4) of those. It was also the fourth consecutive Six Nations match that May has found the line in to join Will Greenwood, Mark Cueto and Anthony Watson as the only players to have achieved the feat since 2000. 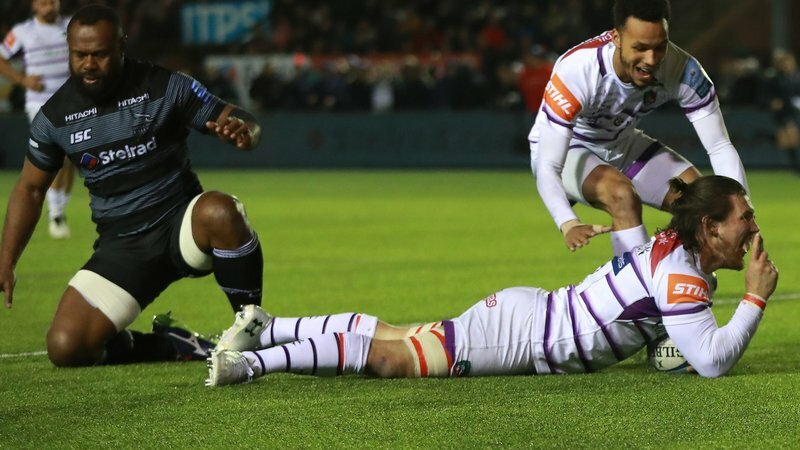 Just 20 minutes later and May had his second, with the Tigers speedster showing his ability to find space in the tightest of areas to sidestep his way around his opposite number and dive over. 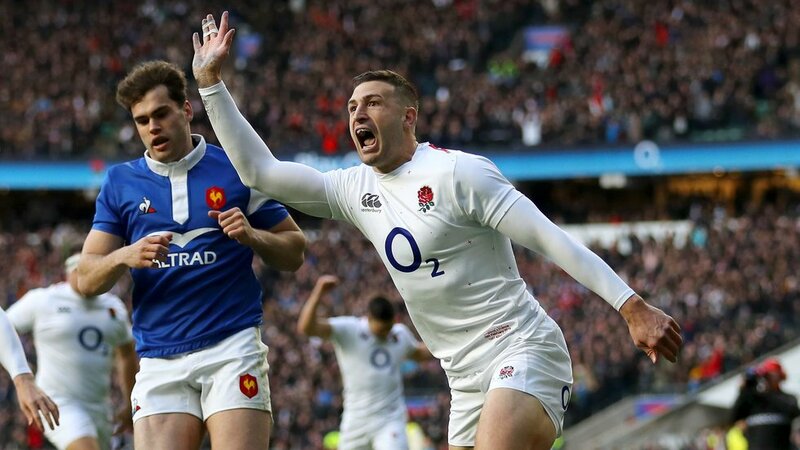 His hat-trick came less than 10 minutes later when he again showed his pace to chase down a kick, this time by Chris Ashton, and become the first English hat-trick scorer against the French since Jake Jacob back in 1924. The fast-start from the home side had the French chasing the game for the remainder of the afternoon and May says it’s all part of the English plan. “It is just a brand of rugby we are trying to play, we want to put teams under pressure,” he said. 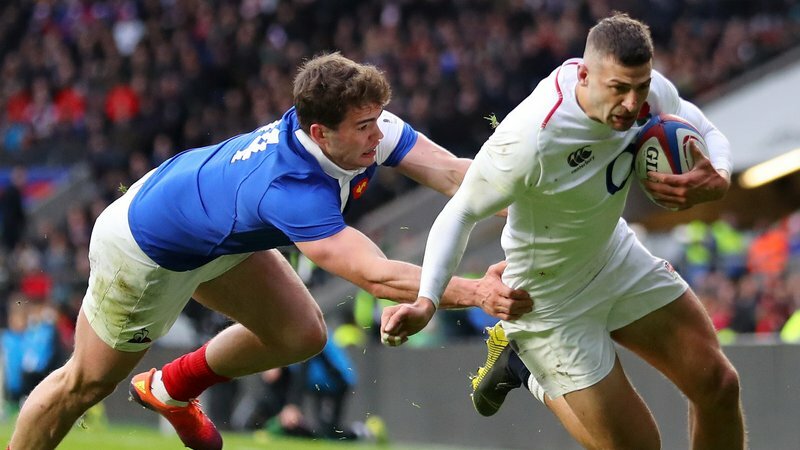 Eddie Jones’ men went on to score three more before completing the 36-point win, the second biggest ever for the English over their long-time rivals behind the 37-0 victory over Les Bleus in 1911. May was not only voted Guinness Man of the Match by pundits but also received the Fans’ award and admits it won’t be a day he’ll forget, although in his typically modest way says he’s just ‘grateful’ to be involved. “I’ll remember this day; to score for your country is awesome, and especially at Twickenham,” said May. 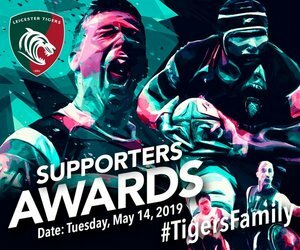 May started the match alongside fellow Tigers Ben Youngs and Manu Tuilagi, with the Leicester duo proving a handful for the French in front of more than 80,000 fans at Twickenham. Tuilagi's 'second coming' to the international arena continued as the rampaging centre tormented the French midfield for more than an hour before being replaced by club team mate George Ford towards the end of the game. Dan Cole also made a successful return to international duty after last playing for the national side during last season's Six Nations. Cole's 83rd appearance for England, and 86th Test cap, moves the experienced front-rower to just one international short of Tigers and England legend Martin Johnson (84) on games played by Leicester squad members for the national side. The victory sees England sit atop the Six Nations table, two points clear of their round three opponents Wales. Elsewhere, Wales defeated Italy (15-26) on Saturday afternoon in Rome and Ireland registered their first win (13-22) of the 2019 tournament over Scotland at Murrayfield.